"Nanjing Gulou East, Arctic Pavilion Meteorological Museum, Locker 221 , Happy New Year." 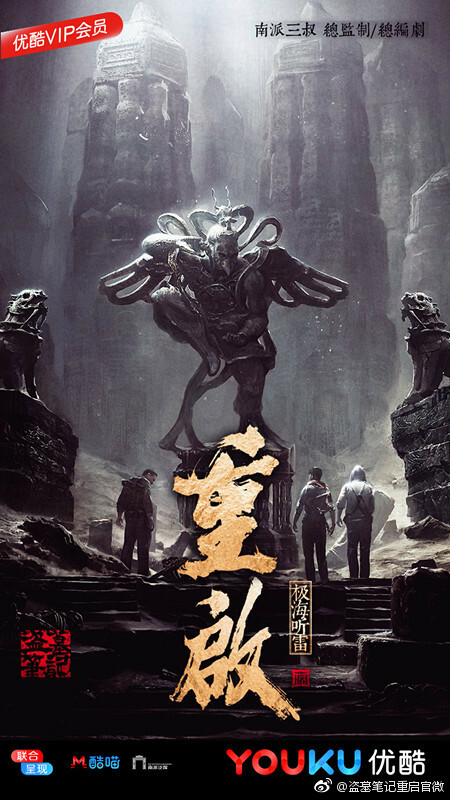 "Restarting the Sea" is mainly about Wu Xie, Zhang Qiling, and Fatty, the Iron Triangle. After the end of the decade and retreating to the hidden village, they re-enter an adventure for family and friendship. After struggling through crises of life and death, can they uncover the fog and get a new start? Do follow the general Soompi Forum Rules.Do not insult a celebrity / a member, whether directly or indirectly.Do not spam.A post must include at least twenty characters or be of substance. Hence, a post which does not meet this requirement may be subject to deletion without notice.Do not engage in off-topic conversations.If you'd like to discuss / post off-topic conversations irrelevant to the subject matter, do so through personal message or where else more appropriate. Posts that don't abide by this rule may be subject to deletion without notice.Do not quote images / gifs / videos.If you'd like to quote a post, remove images / gifs / videos (if applicable) and quote the text by itself. This rule is to preserve the bandwidths of images / gifs and to make a thread as simple to navigate through as possible. Do provide English translations as needed.Comments must be written in English or with English translations when posting in a foreign language.The rules may be subject to updates and changes. Failure to abide by any of the rules may result in a warning. Contact angelangie, & LavelyShai for assistance if there are questions and queries to address. Tomb Notes begins Shooting today. Formal shooting begins tomorrow. Everything seems to be confidential. ZYL has said he can't reveal about Wu Xie. Hi @TheRedDragon!!! I followed you here from ZYL's thread haha! 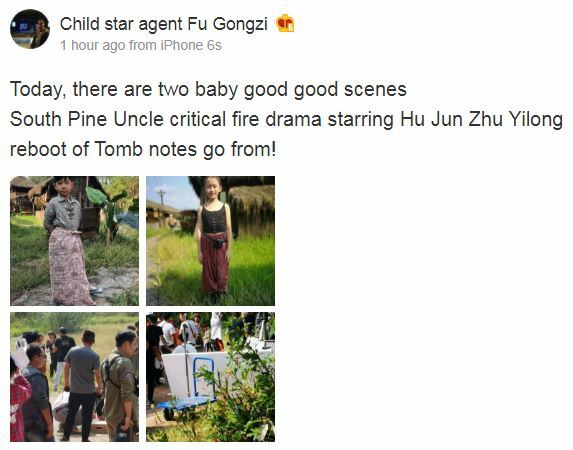 Wah the tomb notes restart finally start filming! I'm so excited! Well the drama wouldn't air in a long time but it would be exciting to see the process and the way he transforms as Wu Xie!! Thank you so much by the way for making this thread and updating on the upcoming filming of this drama, I appreciate it! @biskotmeri Hi! You are welcome. I'm excited as well. It'd be nice to see how youku handles his first major lead role and their production. There are a lot of rumoured actors that now seem to be confirmed. 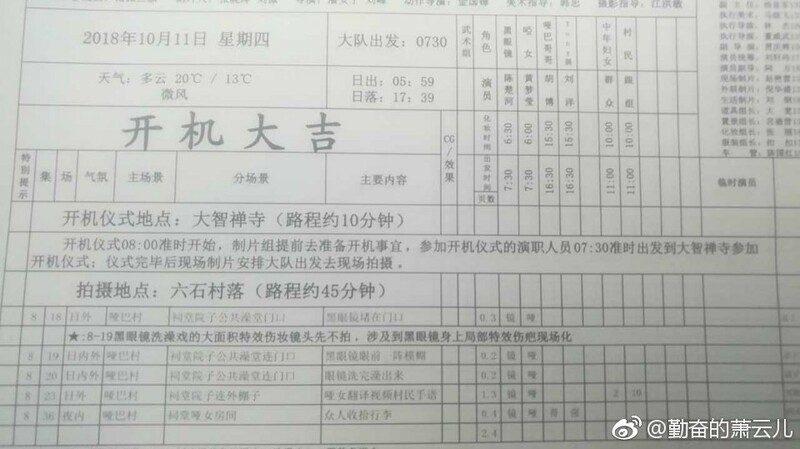 Chen Chuhe/Black Box(黑瞎子) and Huang Mengying/Mute Girl(哑女) will be shooting for the first few days probably at Hengdian studios. ZYL will join them two days later. Restart the TV show shooting officially begins today, and Xu Lei (Nanpai Uncle) hosted a boot/shoot dinner yesterday. Zhu Yi Long didn't attend. Hi Maryana! Thanks for joining the thread! The listed are officially announced and a few are yet to be official. About Zhang Qiling and Fat Man there are rumours. All I know is Junjie is most probably true and he was also seen departing Beijing, his university, two days ago. He might be announced later on. Fatty might be someone who has a high acting profile, hopefully he is announced next. About the novel, I read one and a half chapters but I couldn't find time. If you read anything interesting, do share. I am also excited to see ZYL new look. I wonder when can we see him. Yeah the hype and weight around Hu Jun's and then CC is big. The casting for other role maybe controversial so maybe they want to keep it low or maybe just to let people keep asking. Most media has already announced Junjie so who knows. 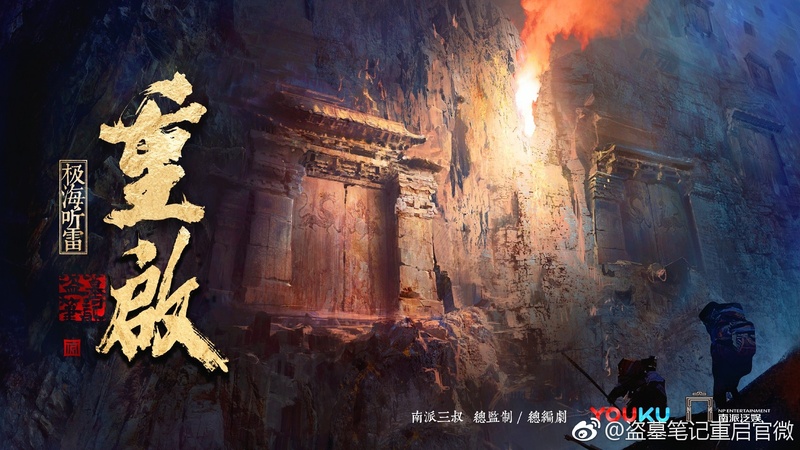 Really from what outline I have read, most of it centres around Wu Xie himself, Fatty is the friend and Zhang Qiling hardly speaks so with ZYL announcement, most important character has already been announced. I hope we keep getting some behind the scenes. I heard that Wu Xie and Zhang Qilin has brotherly relationship bordering BL in the later part of the series (I take that it is that very part ZYL will act on in this adaptation?!). Therefore, I hope that we will get an actor for Zhang Qilin that can have good chemistry with ZYL like the one we get with Bai Yu in Guardian. About the novel, I read one and a half chapters but I couldn't find time. If you read anything interesting, do share. I am also excited to see ZYL new look. I wonder when can we see him. Yeah I read somewhere that there is a lot of fanfic around it. But BL really? Hehe...so if they do brotherhood like in Guardian or something like it, then will ZYL do it? Do you know some specific scene? Lol this is going to be fun. Yeah no worries Google translate, I have begun to understand it now. Go ahead! Thanks. Junjie has barely begun acting so I have zero idea about him. So how is this role ZQ like? I mean in relation with Wu Xie? Ya saya membaca di suatu tempat bahwa ada banyak fanfic di sekitarnya. Tapi BL benarkah? Hehe ... jadi jika mereka melakukan persaudaraan seperti di Guardian atau sesuatu seperti itu, maka akankah ZYL melakukannya? Apakah Anda tahu beberapa adegan tertentu? Lol ini akan menyenangkan. Ya jangan khawatir Google terjemahkan, saya sudah mulai memahaminya sekarang. Lanjutkan! Terima kasih. Junjie baru saja mulai berakting jadi saya tidak tahu tentang dia. Jadi bagaimana peran ini seperti ZQ? 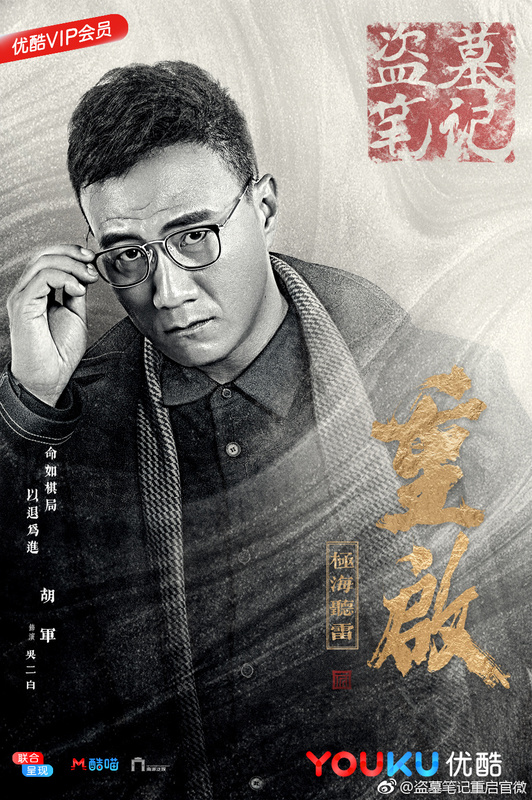 Maksud saya dalam kaitannya dengan Wu Xie? Hi @umari93 There are 72 episodes but they will be broadcast in parts. There are three seasons of 24 episodes each. The first season will begin broadcast in summer of 2019, very soon. So you can watch 24 episodes first and then so on. From what I know, the author who is also the scriptwriter, chief-editor, co-producer and co-director at the scene, will begin writing a book for each season. So what he has written now is only for season one of Restart. Other stuff will follow. It is going to be a long arc. So TNR is going to be biggest project for ZYL the next year. Until then, he has other dramas waiting to be broadcast like, The Story of Minglan, My True Friend, Rhapsody of a summer dream, all of which he plays side character. You can also wait until next month for rebroadcast of Guardian and there are rumours it is going to be put back online in China very soon. Yang yang is the best QiLing i ever saw until now, but I like Xiao Yu Liang too... he's young but look mature in tomb of the sea. @lemsaine and @Evil Blea, I agree with you guys. The actor is definitely very young and inexperienced. Someone said that ZQ(Zhang Qiling) is always very young and doesn't age. I can understand that but isn't the guy like over 100 years old? He is way older in age than Wu Xie. During casting, they should have relaxed the age and taken either someone close to 25yrs or at least someone mature looking, with depth in the eyes. I haven't seen his acting so I don't know. Hopefully, it works. ZYL looks young enough with decent hair, so the chemistry can work. Then ZYL can do well even with no lines and no face (refer Phantacity) so as long as he is on-screen it will work well. I like YY's portrayal as well. Initially I wanted YY to continue with it but we only have fanvids. But I really hope they can work well together after all they have to spend almost a year together. And if he looks anything like this, it would be cool.